NetSupport Radio was back for the 3rd year running at Bett 2019! Our host Russell Prue had a very busy first day at Bett interviewing a variety of visitors and exhibitors at the show. Kicking things off, Russell first spoke to NetSupport’s very own Al Kingsley who summed up what’s happening at Bett 2019 for NetSupport including the 30th anniversary, new product releases, the presentation area on stand D120, and the release of the Online Safety Almanac in partnership with Henry Platten. Next up Russell spoke to Tony Cann, founder of Promethean, about his new offering Learning By Questions. Russell also chatted to Craig from Viewsonic about moving into the IFP (Interactive Flat Panel) segment, Sal McKeown and Anna Pedroza about their hints and tips for interest and coverage at Bett 2019, DF Robot about their opensource hardware and robotics, Kat Cauchi about ReallySchool new classroom observations features, and Ben Whitaker from ANME about raising the profile of the ICT team in schools. Later in the day Russell interviewed Karin Bjerde from Kognity, a global publisher of intelligent textbooks. Russell then chatted a number of guests including Mark Anderson about his Periodic Table of AR and VR Apps for iOS, Ian Roe from GCSEPod and Matthew from Cardinal Wiseman School about new updates to GCSEPod and how it’s used in a school setting, Alina Toderascu from Cypher Learning about Neo LMS, Sam Warnes from EdLounge about the work they do to help homeless and less fortunate people get an education, Henry Platten from Gobubble/eCadets about the NetSupport Online Safety Almanac, and George and Jade from The Young ARIAS about the new young people’s radio awards in connection with BBC Radio and Kiss FM. Next up Russell spoke to Will Few from Internet Watch Foundation (IWF) who gave an overview into the work they do. Russell’s final guest was Ben Whitaker from EduFuturists discussing his podcasts that help teachers find tools, solutions and people to network with through interviews with leaders in the education section. 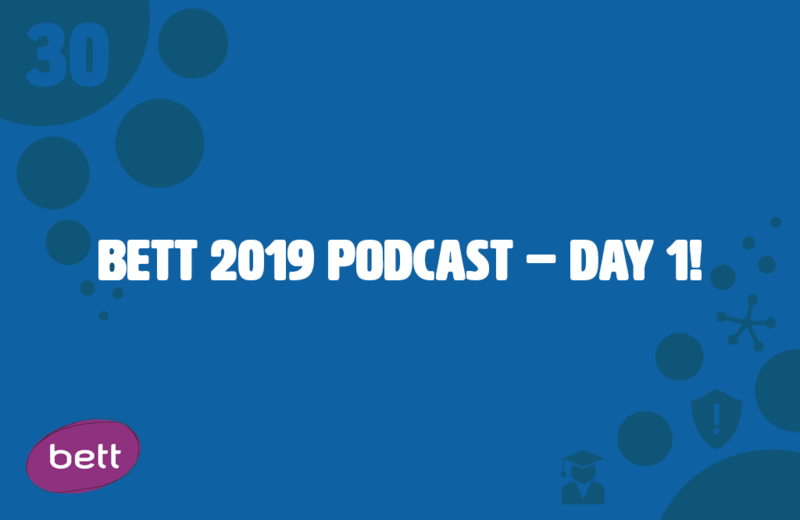 To listen to the radio show and catch up on what happened during the week at Bett 2019, click here.